Home Fashion Daisy Lowe x Nasty Gal Summer Collection Out Now! Daisy Lowe x Nasty Gal Summer Collection Out Now! Nasty Gal has launched it’s first UK collection shoot with DJ, model and Bumble dating app ambassador Daisy Lowe. 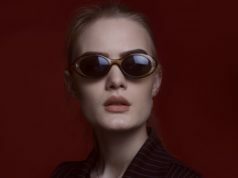 Daisy’s eclectic personal style has pushed the boundaries of what it means to be a woman in fashion and has defied the ‘one size fits all’ stereotype. That’s why the summer collection embodies her confidence and a carefree attitude. Key summer pieces have been updated with bunny-ties, lace-up corsetry detailing and vintage details with a twist to liven up any gal’s summer closet. From 50’s style co-ords in primary red and black & white classic gingham print crop tops to key summer staples such as slogan tees and denim, you’ll be sure to thank us later. The full collection features Daisy Lowe’s favourite pieces for summer ’18. From polka dot bikinis, jumpsuits, and dresses to vintage-inspired co-ords, this collection takes 1950’s pin-up style and gives it a modern twist. The Daisy Lowe x Nasty Gal Summer Collection brings you the latest drop of more killer clothes, versatile accessories, stand-out footwear, and much, much more. Update those lifesaving essentials or bag a knock-out, night-out number. The product ranges from £15 – £45 and is available in UK sizes 4-14. See and shop it all for yourself at Nasty Gal.